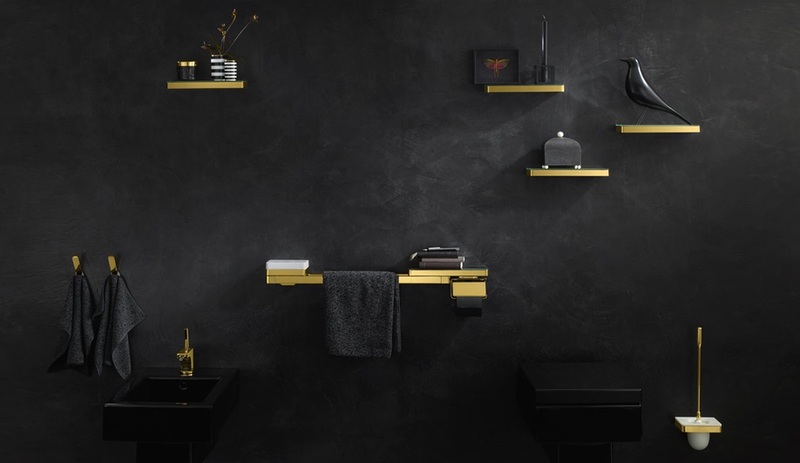 Italian ceramic fixture specialist Cielo debuted two new lines, Narciso and Milano, that fall somewhere between a bathroom vanity and a vanity table. 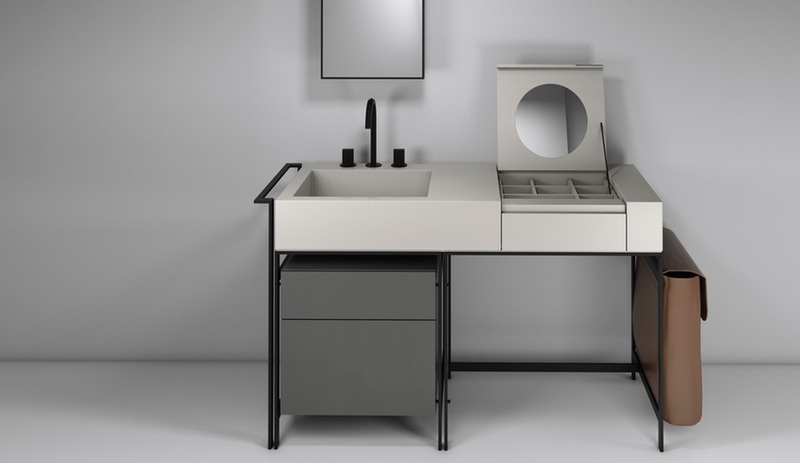 In both, an integrated ceramic washbasin is paired with a makeup vanity including a mirror and compartments, all set on a sleek steel frame. 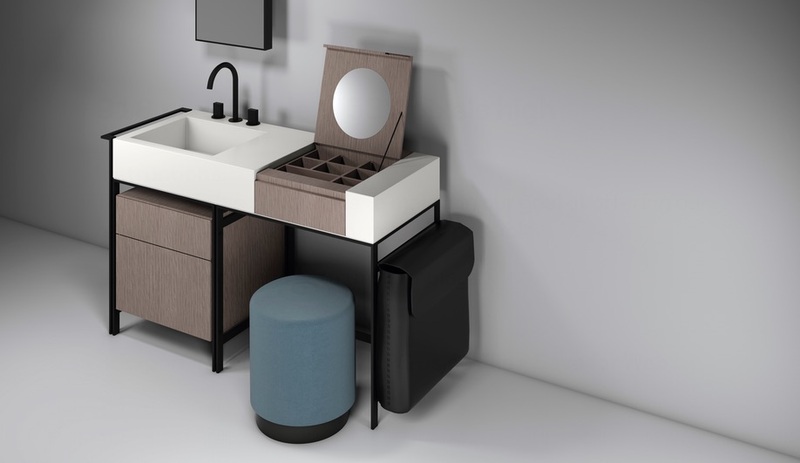 Narciso can be customized in nearly endless ways, with 16 colours of washbasin available, eight wood finishes and five types of solid wood, and two colours on offer for both the frame and the attached storage bag. 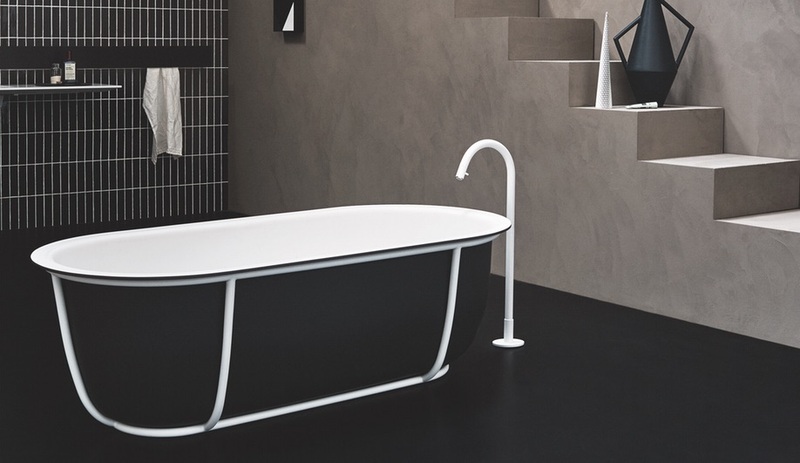 Always a reliable source of exquisite sculptural bathroom fixtures, Agape didn’t disappoint, unveiling Patricia Urquiola’s Cuna bathtub. 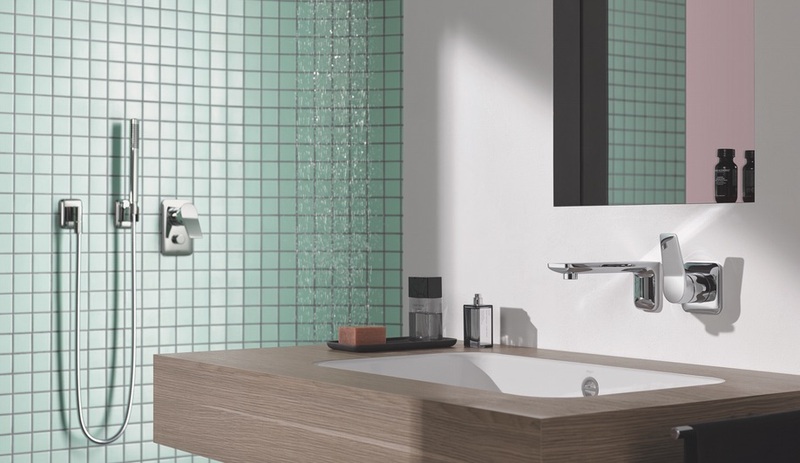 A thin thermoformed structure supported by a tubular steel exoskeleton – both available in a range of colours – give Cuna a light feel that, together with its compact size, make it an excellent choice for smaller bathrooms. 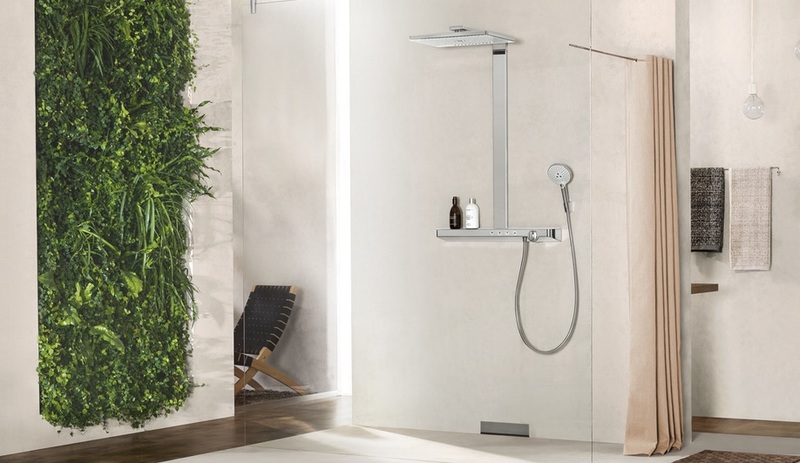 Developed with Antonio Citterio, Axor Universal Accessories includes 12 handles, bars and shelves to meet all the demands of a bathroom, and many of a kitchen as well. 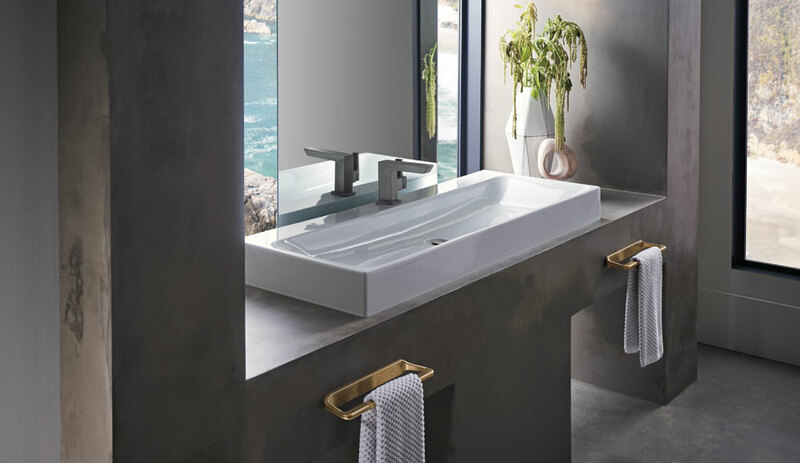 The collection’s range of 15 scratch-resistant surface finishes includes chrome, gold optic, stainless steel optic and bronze, and its clean lines unify heavy-duty elements like shower grip bars and more decorative elements, as well as with other Axor fixtures. 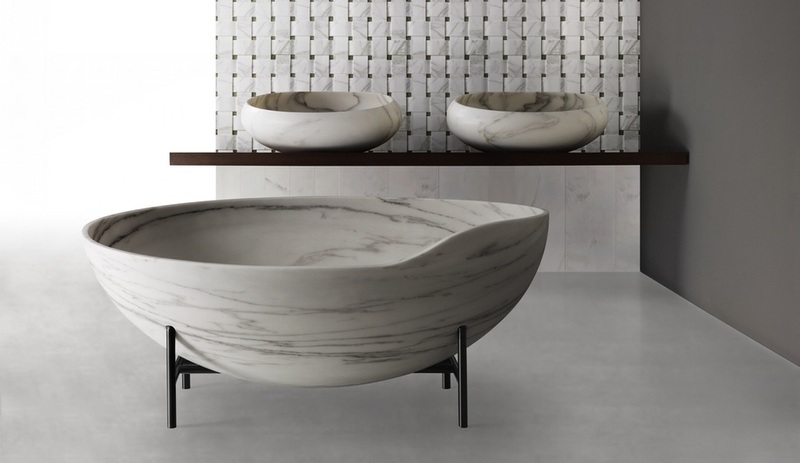 At Bagno, marble specialists Kreoo revealed the sculptural Kora bathtub, honed from a single block of stone and perched on an iron frame. 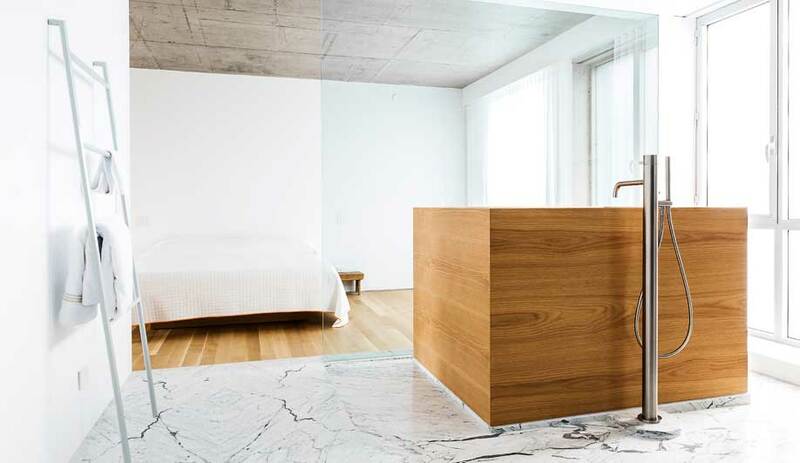 Kora, named after a West African musical instrument, joins Gong – a rounded sink inspired by Tibetan bells that was launched two years ago, also formed from a single piece of marble. And for walls, two textured styles of paneling, including the weave-like Texo seen here, complete the look. 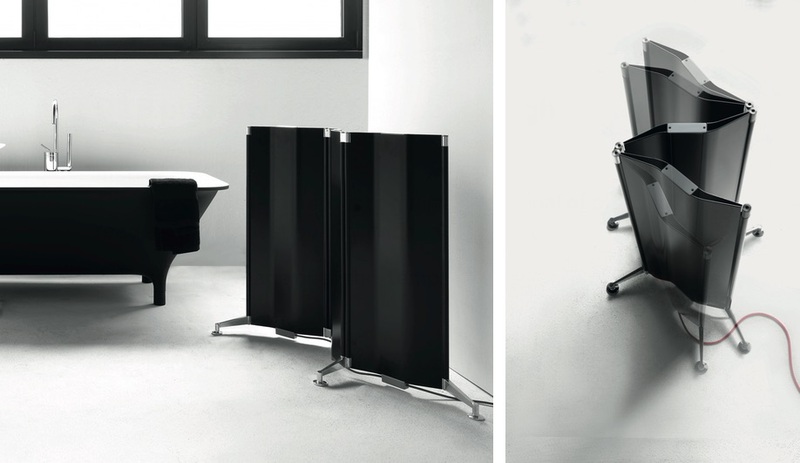 Acting as both a room partition and a towel-warming radiator, Alberto Meda’s Origami is offered in both muted and brilliant hues, multiple heights, and even a wall-mounted version. Despite the name, Origami’s panels are gently curved, creating a fluid shape that nonetheless folds away flat when not in use. 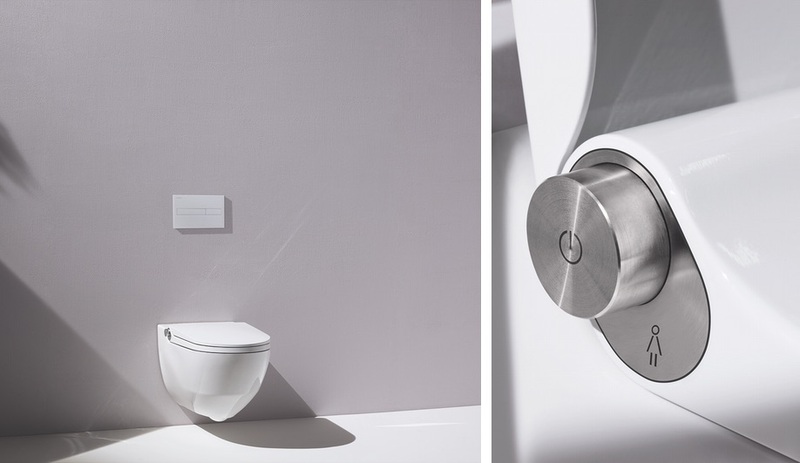 To combine a bidet and toilet into a single fixture, Laufen’s Cleanet Riva “shower toilet” hides a retractable arm that handles multiple functions, including a sprayer with adjustable intensity, position and temperature. The self-disinfecting fixture also includes an odour-absorbing carbon filter. 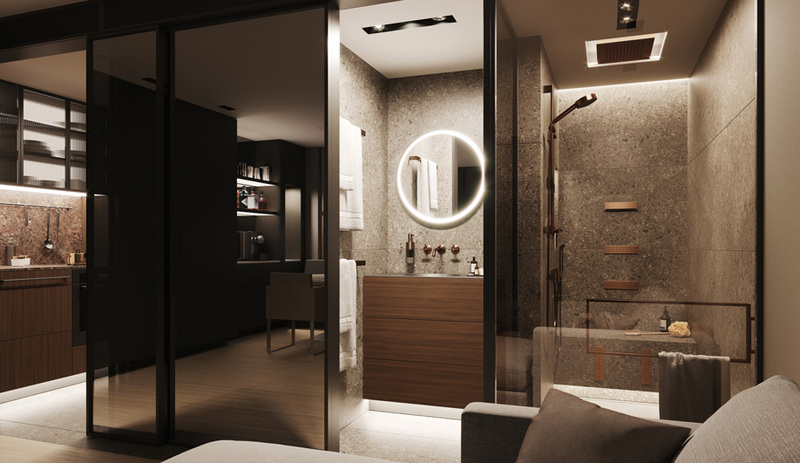 With 25 different fittings and accessories, Dornbracht’s Lissé family comprises virtually all the hardware elements a bathroom requires. 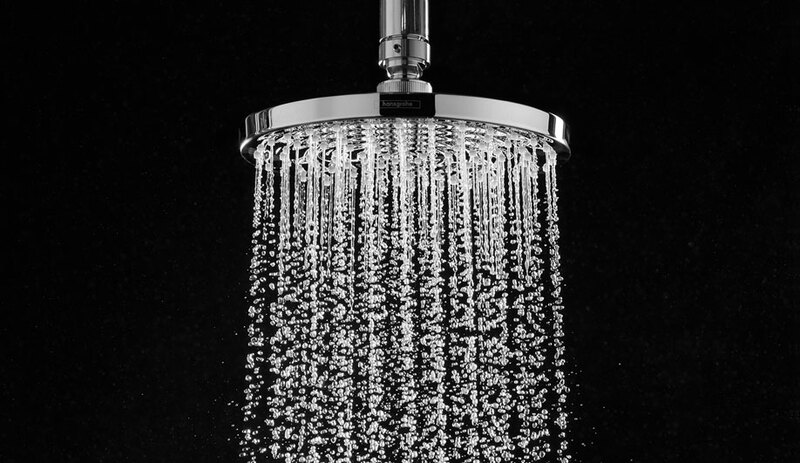 The range of faucets includes wall-mounted or top-mounted fillers for tubs and sinks, and rain shower and hand-held components for the shower. The rounded edges make for easier cleaning, and give Lissé a softer look. 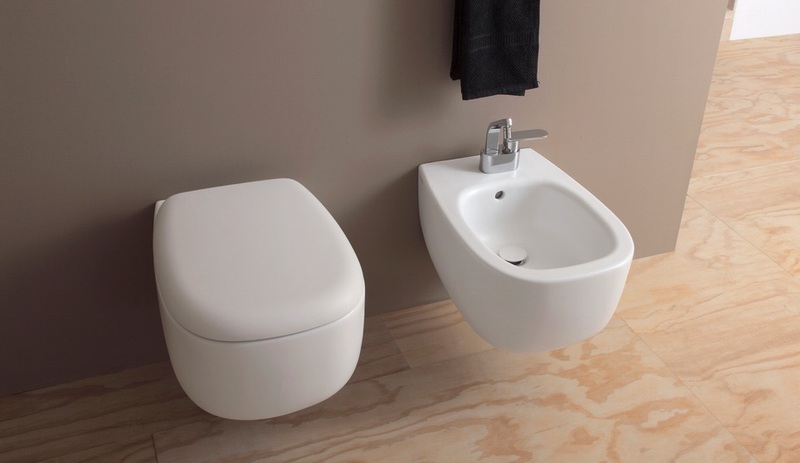 Jasper Morrison’s Bonola collection – which includes washbasins with and without pedestals, toilets and bidets – are part of Flaminia’s Goclean system, which does away with interior ridges where germs can hide to ensure more sanitary cleaning. Bonola’s rounded form can be specificied in a range of colours, and either matte or glossy finishes. Offered in 46-centimetre and 58-centimetre wide versions, Rainmaker Select is styled with a white glass underside and a narrow, rimless chrome casing for a timelessly minimal look. Three spray modes, including a rainfall mode that takes advantage of the showerhead’s 200 precision laser-cut openings, offer a range of experiences. 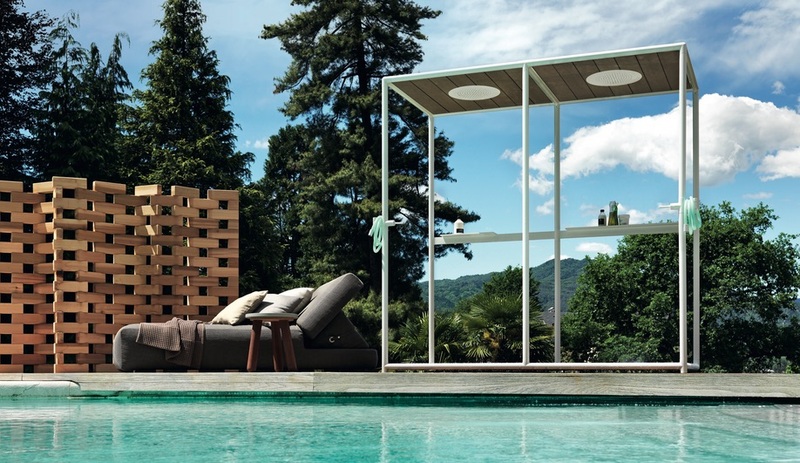 Taking the shower into the great outdoors, Ludovica+Roberto Palomba’s Wazebo features an open tubular construction, but pairs it with a 40 centimetre wide rainfall showerhead. Slatted WPC wood on the upper and lower surfaces give Wazebo a more natural look and feel, while a single joystick control makes temperature adjustment simple.